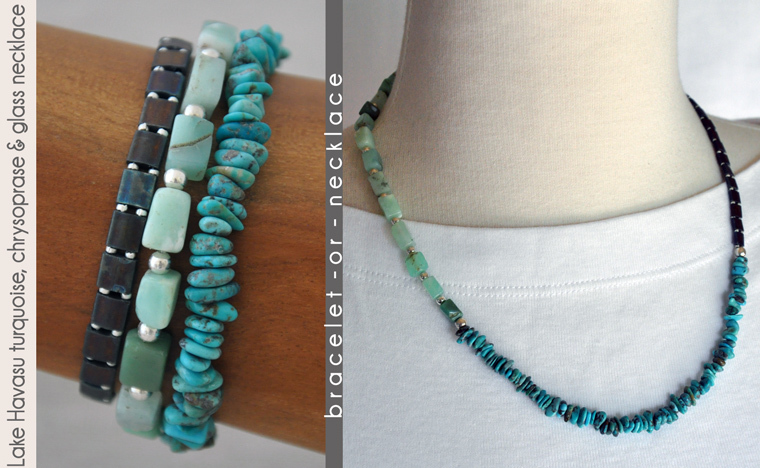 The blue-green colors of the turquoise and chrysoprase are like those incredible falls and pools of the Havasu area. 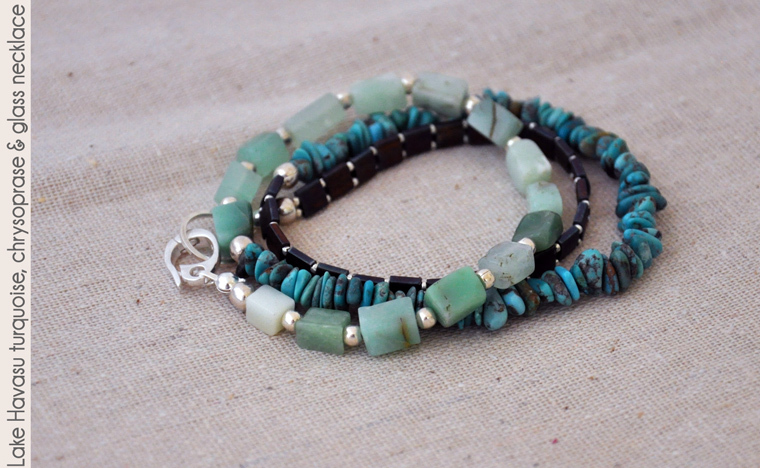 The turquoise chips have been stabilized for increased durability, and the chrysoprase nuggets are natural microcrystalline quartz whose distinctive green coloring is from trace amounts of zinc. Like many chalcedonies, it is present worldwide, including areas of Arizona and California. 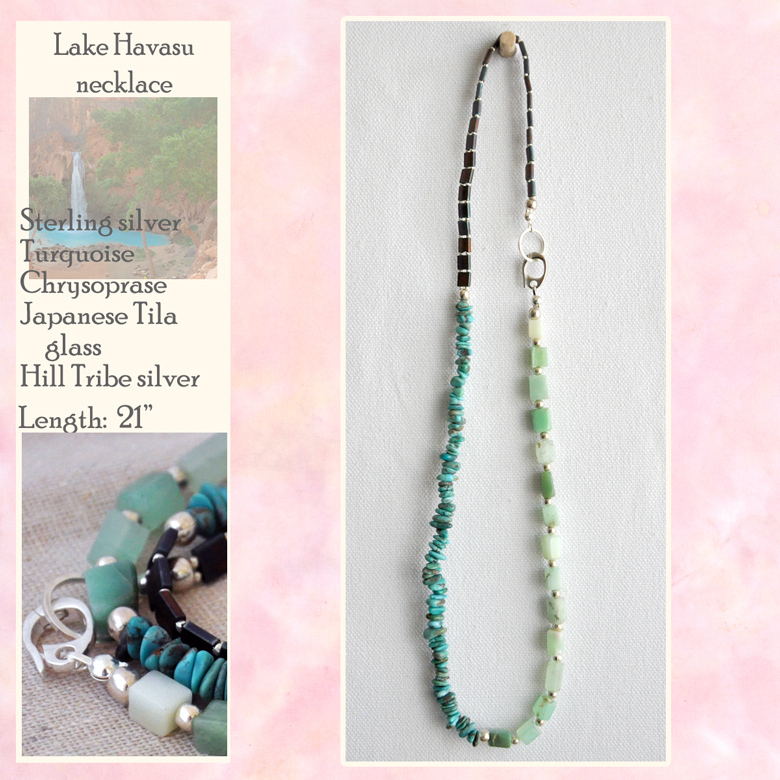 This 20" necklace has been organized to wear as a single strand mid-length necklace or triple wrapped as terrific gemstone bracelet. 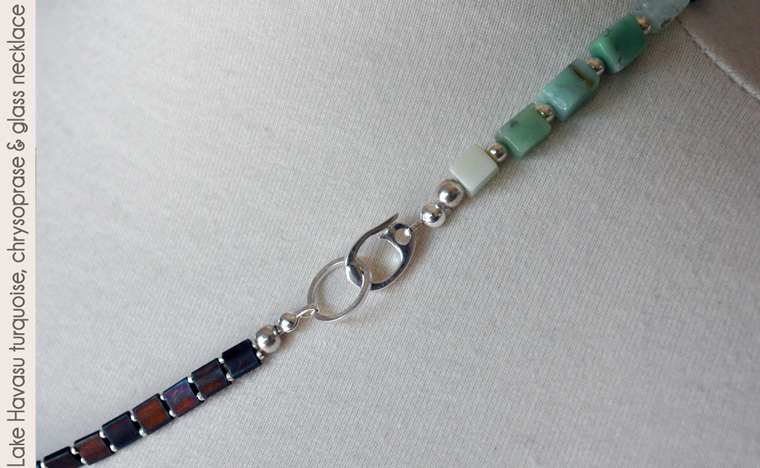 Sterling silver hinge clasp opens easily and secures with a snap. Generally, the materials and cord are strong enough to withstand tugs and pulls. However, the glass tiles may be cracked or broken with rough treatment so it's recommended to keep this out of reach of young hands. As with all beaded jewelry: do not let young toddlers chew on it. 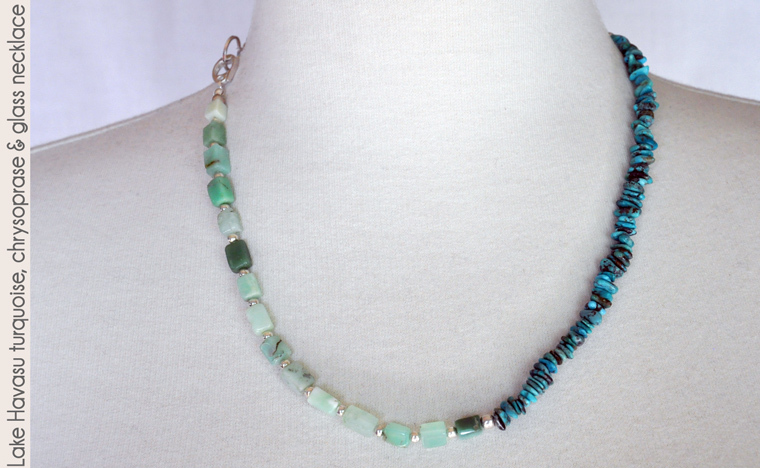 This 20" necklace makes a terrific single strand accent for a top or can be triple wrapped for a fun and stylish bracelet.